Ideal choice for protein or nucleic acid separations. 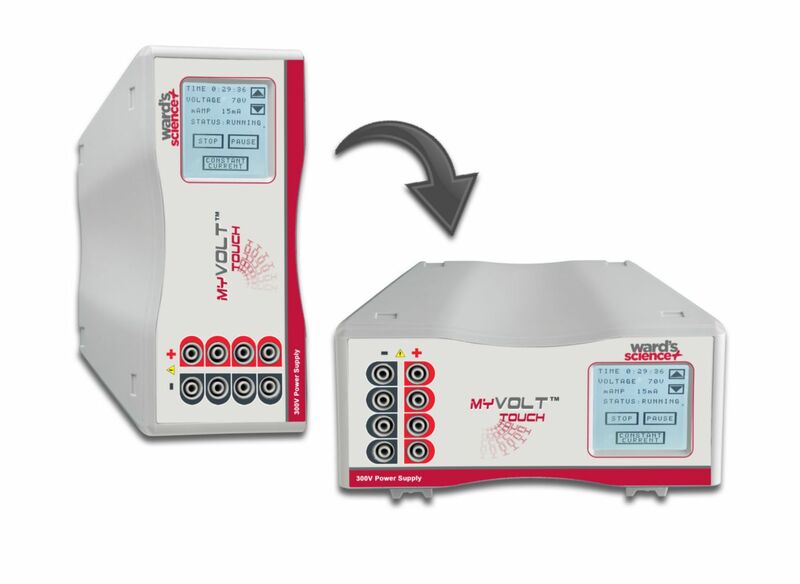 The myVolt Touch is a dependable electrophoresis power supply that includes all of the capabilities and specifications needed for efficient separation of nucleic acids and proteins. Perfect for horizontal agarose and vertical acrylamide electrophoresis gels, the Ward's myVolt Touch incorporates some very unique user-friendly features including touchscreen control, intuitive programming, control of voltage or amperage and four pairs of outputs. With the Touch-screen Control Panel, setting up an electrophoresis run with the myVolt Touch couldn't be easier. Simply touch the parameter that you want to change, use "up" and "down" arrows to adjust, and then touch "Start" to begin the run. 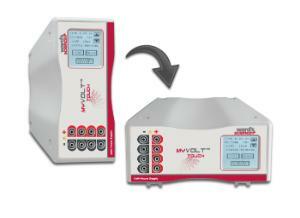 The Ward's® myVolt Touch packs plenty of power and features into a compact housing. But for those crowded lab benches, this design goes one step further. The Ward's myVolt can be configured horizontally or vertically to fit the space available on a lab bench or a shelf. In either position, the display automatically rotates to the correct orientation. Folding feet can be extended when the power supply is horizontal for convenient access and viewing of the touch screen. When set vertically, the touchscreen is tilted up toward the user.